Jarrod Cook is the Director of Client Success for Specialized Property Management in Atlanta, and has been with the company for 6 years. 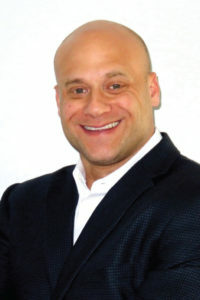 He has over 18 years of experience in real estate investing and property management. Mr. Cook is primarily responsible for growing the business and ensuring the existing clients have a positive experience with the company. In addition, he will spend time in the field supporting the Atlanta team in any way possible. Prior to joining the company, Mr. Cook worked as property manager and sales agent for a real estate firm that helps investors build and manage their real estate portfolios. Mr. Cook received his education from Samford University. In his spare time, he enjoys most things fitness related, tweaking and growing his own real estate portfolio, and staying active with his son. Mr. Cook is also committed to the community, and volunteers regularly at the Humane Society.